Chicago French Market upholds the tradition of Beaujolais Nouveau in which, at midnight on the third Thursday of November, France erupts in a massive celebration honoring the unveiling of the Beaujolais Nouveau wine. The Beaujolais Nouveau party at Chicago French Market takes place 4 p.m. to 7 p.m. Thursday, November 18. Enjoy the 2010 release of Beaujolais Nouveau, a six week old red wine produced in the Beaujolais region of France, amidst a backdrop of live accordion music by Pat Spaeth. Along with the wine, samplings of international charcuterie, cheese and desserts are served. The party is complimentary for all those who attend and the first 200 participants receive a reusable Chicago French Market tote bag. Those who are 21 years old and up (with a valid ID) may enjoy a glass of Beaujolais Nouveau, but all are welcome to an evening of music, food tasting and fun. Stop by the 27 Chicago French Market vendors and check out the variety of foods and items offered. Stop by Delightful Pastries every Friday between 3 p.m. and 6 p.m. to get a jump on holiday treats. 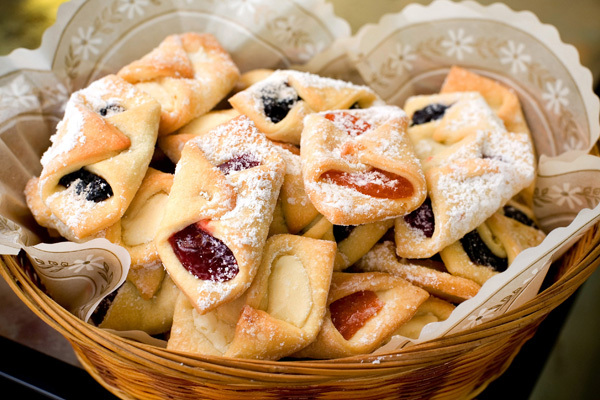 On Friday, Nov. 12 and Nov. 19, Delightful Pastries offers free samples of its delicious sourdough breads, brownies, bars, macaroons and kolaczki, and homemade triple berry preserves. Delightful Pastries offers a number of seasonal pies and pastries, perfect for Thanksgiving dinner. Pie selections include Apple Caramel Pie, Honey Pumpkin Pie, Pecan Pie and Key Lime Pie, all made with an all butter crust ($20-$24). Delightful Pastries also features a Mini pastries Tray with an assortment of éclairs, fruit tarts, cream puffs, financiers, mini tortes, tiramisu and more ($40). Other Thanksgiving selections include Cranberry Angel Food Cake, Cranberry Bread Pudding, Cranberry Orange Relish and Potato Pie ($7.99-$30). Orders may be placed by contacting the Chicago French Market location at (312) 234-9644. City Fresh Market, known for its fresh poultry, fish and grass-fed beef offers specials now through Saturday, November 13. Specials include Fresh Chicken Cordon Bleu, all natural chicken breast filled with black forest ham and Swiss cheese ($4.49 ea); Stuffed Pork Loin, fresh pork loin filled with spinach and feta cheese ($5.49/pound); Scottish Salmon Fillet ($11.99/pound); Live or Freshly Steamed Whole Lobster ($19.99 ea. ); and Fresh Deep Fried Breaded Shrimp ($8.99/pound). Note, that requests for steamed lobster must be placed in advance. 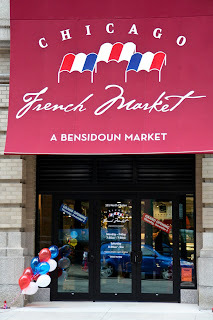 Contact the Chicago French Market location of City Fresh Market to place orders, or call (312) 575-0230. On Thursday, November 11, attend a demonstration 5:30 p.m. – 7 p.m. by Quince and Apple, a husband and wife team based out of Madison, WI who make small batch preserves. On Wednesday, November 17, enjoy a demo by Willie Lehner of Bleu Mont Dairy in Wisconsin. Attendees will taste a cheese called Alpine Renegade, as well as three-year cheddar. The demo is 5:30 p.m. – 7 p.m.
Pastoral Artisan Cheese, Bread & Wine is also accepting pre-orders for Thanksgiving, including its Cranberry Pecan bread which is only seasonally available. The loaves can be baked for pick up Monday through Wednesday, Nov. 22 through Nov. 24. Beautiful and delicious artisan cheese trays and food-friendly wines are also available, and perfect for holiday parties. All catering orders need to be placed 48 hours in advance. 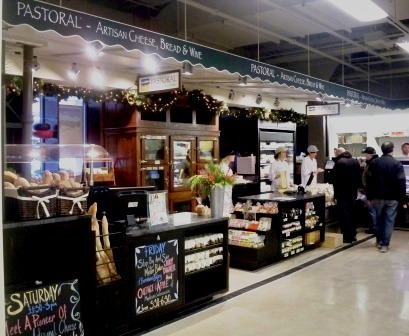 Contact Pastoral Artisan Cheese, Bread & Wine at its Chicago French Market location at (312) 454-2200 for more information. Award-winning Vanille Patisserie offers pumpkin pie topped with cinnamon whipped cream for those with a sweet-tooth. Pre-pay from now until November 15 and get a discounted price of $18 per pie. After November 15, pies return to the regular price of $24. Place an order by calling (312) 575-9963 or visit Vanille Patisserie at Chicago French Market. 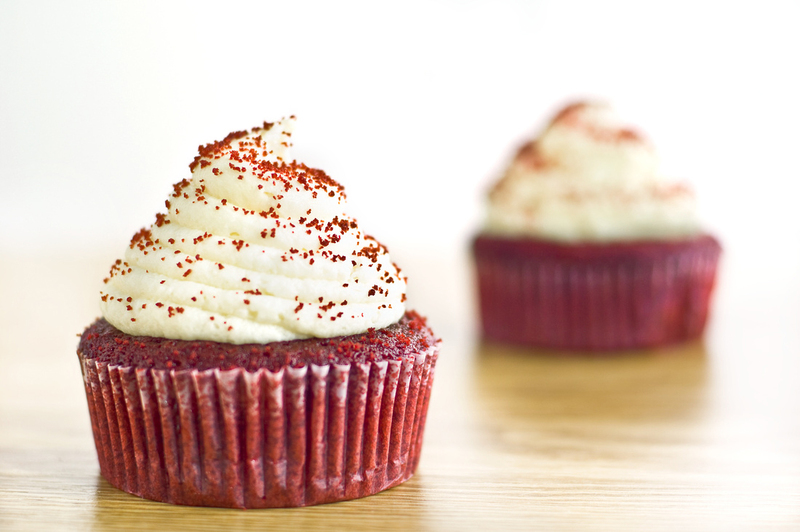 Sweeten up a holiday party with catering from Sweet Miss Giving’s or a special gift box. Seasonal gift ideas include Recipe in a Jar, all that’s needed for a perfect batch of Cranberry Almond Oatmeal Cookies ($15); Cupcake Sampler of one dozen cupcakes ($36); Handmade Chocolates, one dozen rich and delicious handmade chocolate truffles ($18); Perfect Cookies and Perfect Brownies ($25-$30); and SMG Samplers featuring a variety of Sweet Miss Giving’s indulgent brownies, biscotti, Mountain Mix nuts, homemade Hot Cocoa mix, and more ($60-$70). Holiday gift ideas may be ordered at Sweet Miss Giving’s Chicago French Market location. Call (312) 575-0212 for more information, and learn how to ship most holiday gift orders. Right now Les Fleurs is featuring autumn bouquets with colorful arrangements of mums, sunflowers and more ($8-18). Les Fleurs is now accepting pre-orders for holiday arrangements and centerpieces. Items may be ordered by phone or in-person at the Chicago French Market location. Holiday centerpieces range $30 an up. Call Les Fleurs at (312) 463-1111. Save the season with Lavazza Espression’s Pumpkin Butter Latte, a comforting blend of artisan crafted pumpkin butter, steamed milk and smooth espresso. Warm your hands with this seasonal specialty for just $3.45. Contact Lavazza Espression at (312) 207-0500. Every Friday from 4 p.m. to 7 p.m., enjoy complimentary music from a local artist. This Friday, November 12, hear authentic French bistro accordion artist Pat Spaeth. On Friday, November 19, listen to the eclectic acoustic stylings of Jenny Bienemann. There will not be a rush hour concert on Friday, November 26 due to the holiday weekend. Chicago French Market is pleased to announce that it now has complimentary Wi-Fi for market patrons to use while they enjoy offerings from their favorite vendors.